Living Area 1131 Sq. 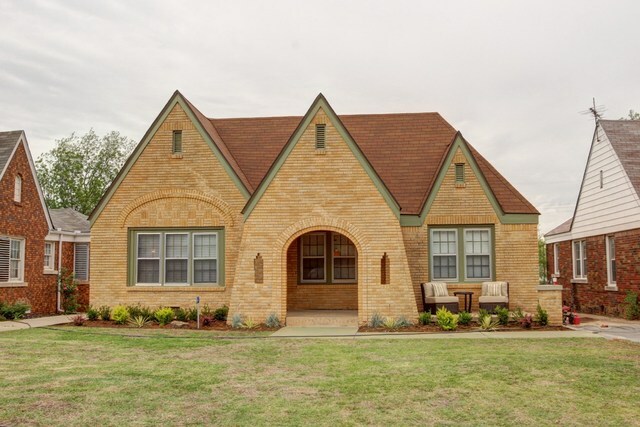 ft.
Old English Tudor on the outside w/ a update modern look on the inside. Check out the Architectural detail, three beautiful peaks in the front w/ amazing brick detail & arch way leading to the front porch. Hardwood floors refinished throughout the house. Kitchen w/ Carrera marble counter tops, new sleek tile floor, gray modern cabinets & new appliances. Original black & white tile in bathroom w/ new vanity. Great outdoor patios front & back.